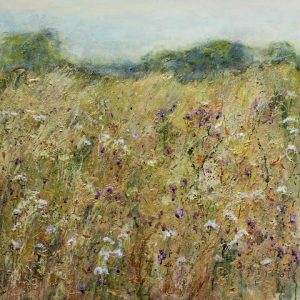 Sally trained at Stroud School of Art and Bower Ashton, Bristol. 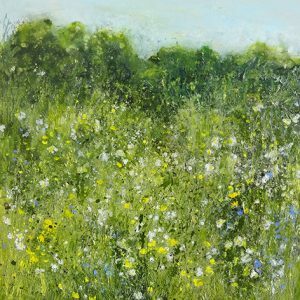 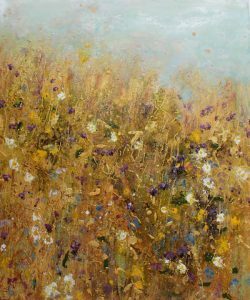 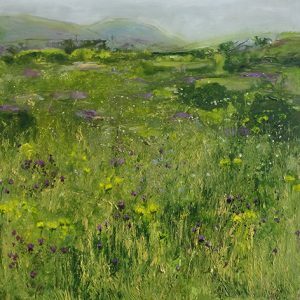 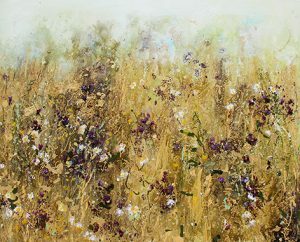 A professional artist for more than fifteen years, she is a uniquely expressive landscape painter, exploring diverse locations from Devon, Dorset, and the Forest of Dean to Spain, Portugal, Indonesia and Australia. 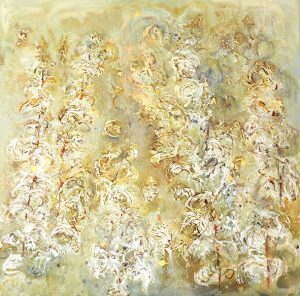 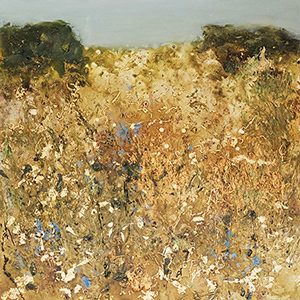 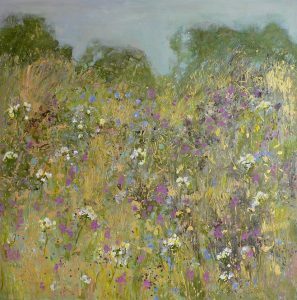 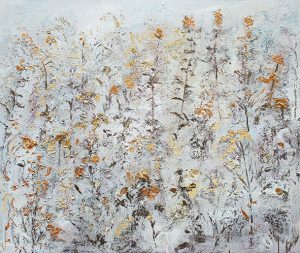 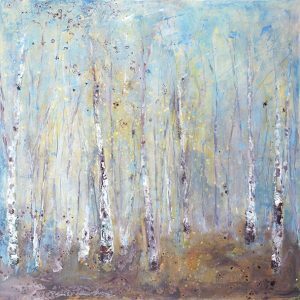 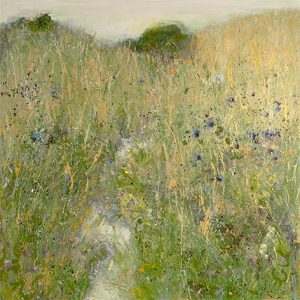 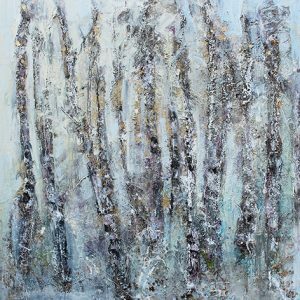 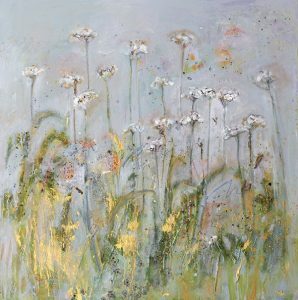 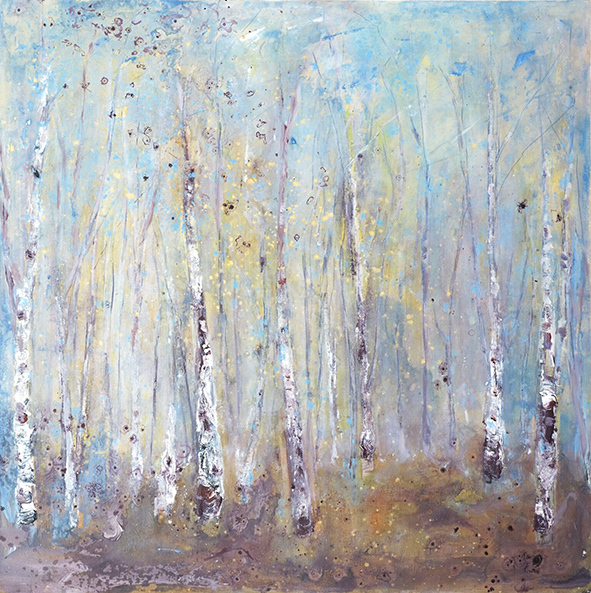 Sally’s immersive, evocative works team with life and movement, and although informed by study and observation, her paintings are an emotional response to the natural world that she experiences on her travels: moments of highly personal connection on canvas. 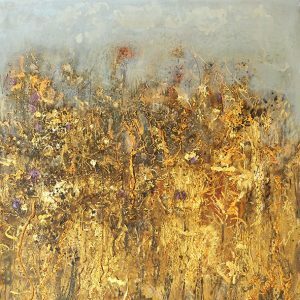 Often working on the floor, Sally builds layers of colour and texture with paint, ink, wax and pigment, allowing the various media to react and pool together. 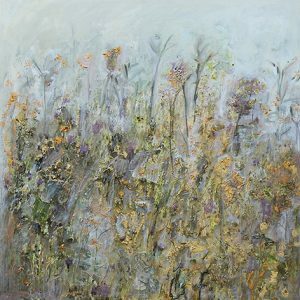 This process is both visceral and meditative, as Sally is not simply painting her natural subjects, but ‘growing’ them: propagating a living image with intuition and spontaneity. 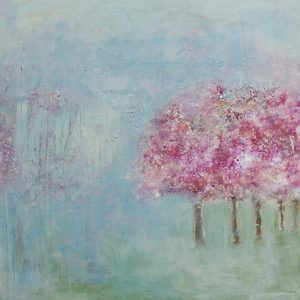 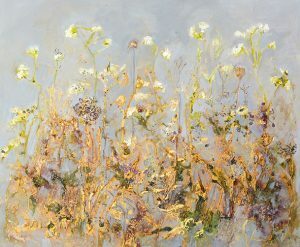 Sally has exhibited widely across the UK and in Europe and her paintings have been commissioned for numerous homes, hotels and businesses.